The safe and proper packaging of goods is of paramount importance to us. We, DTC packers and movers, details while packaging processes and to household goods moving services. Our personnel use premium quality packaging materials like wrapping papers, cartons, wooden boxes, etc., to maintain the safety of the goods. Our packaging personnel are professionally trained to handle all types of packaging needs, be it stationary or glass items. All the packing processes is done under the guidance and supervision of our packaging experts, who work tirelessly making sure that the goods are perfectly packed and don't get damaged during transportation. Understanding all the details pertaining to the packing of office goods, we, DTC packers and movers, offer safe and prompt relocating services. Once the task is handled to us, we, DTC packers and movers, relieve clients from all anxieties, by providing on time on time delivery schedules at clients doorstep. After the careful packing the relocation of goods is equally important. Similar to packaging, relocation of goods requires a good amount of care. DTC Packers and Mover assure you that your valuables will reach their destination without any damage. We, DTC packers and movers & Deepak Transport Corporation, provide our clients door-to-door transporter services. Our fleets of vehicles are new and well maintained. It ensures that the goods safety and the delivery schedules are maintained. All the activity of loading and unloading are done under experienced supervision and carried out by skilled and trained workers. We ensure that the whole shipment is loaded and unpacked with utmost care and in a professional manner. We, DTC packers and movers, take care in not only packaging and moving the goods but also protecting them throughout this process. 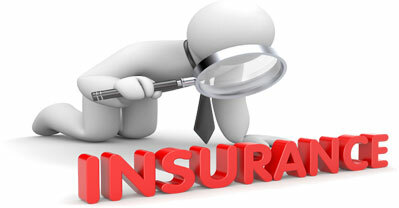 We deal in the arrangement of insurance documents on client’s behalf to save their time and cost and covering them from any accident occurring in near future at the same time. Being the oldest and most trusted name in Packing and moving business, DTC packers and movers gives assurance about the goods reaching to your preferred destination not only timely but safely as well and not only delivering on weekdays or weekends but on a holiday too because we believe in your goods safety is our guarantee.